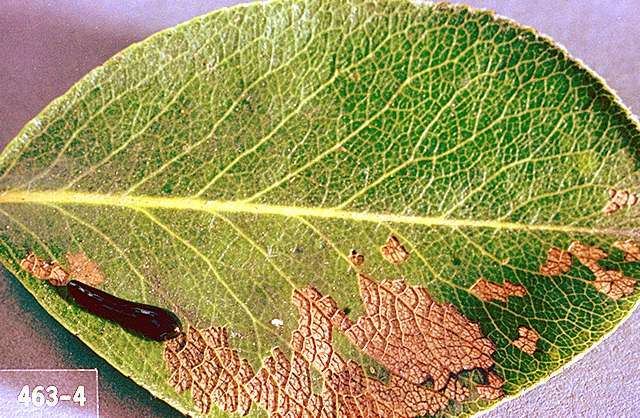 Pest description and damage Pear slug is a European insect now found in most areas of the U.S. 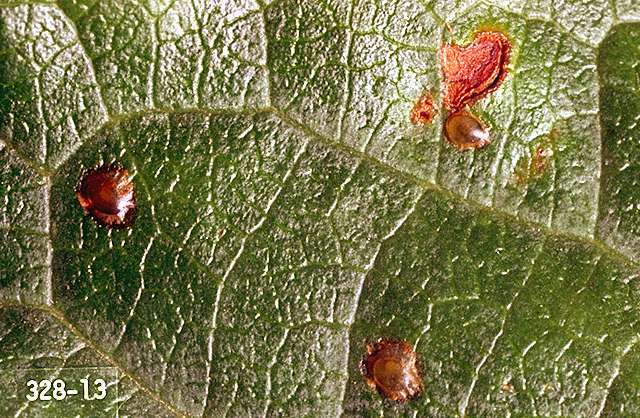 It attacks both pear and cherry and also is found on mountain ash, hawthorn, and ornamental Prunus. The adult is a glossy black fly-like insect, about 0.2 inch long. The larva initially resembles a small tadpole due to the olive-green slime that covers the body, and the head being wider than the rest of the body. Mature larvae are 0.375 inch long and orange-yellow. Larvae feed on the upper surface of leaves, skeletonizing them. Heavy feeding causes leaf drop, with reduction in vigor and yield, particularly on young trees. 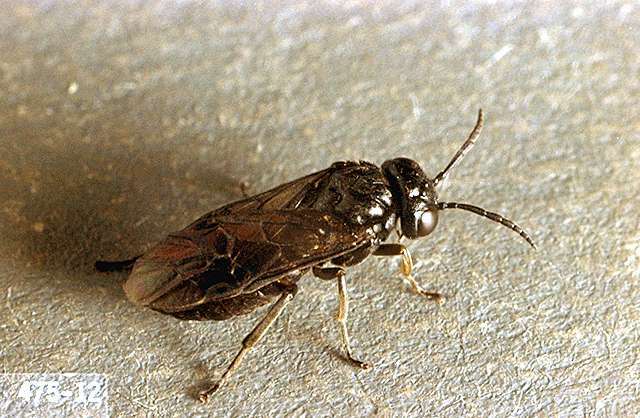 California pear sawfly has been found occasionally defoliating pear trees. Larvae eat and expand on round holes in leaves that can result in a leaf with only the midrib remaining. These bright green larvae match the host leaf color and rest along edges of feeding area. While considered a minor pest on hawthorn and in orchards, these pests can potentially defoliate ornamental pears.